With our Private Tour of the Vatican with Restricted Areas you will get a special access to the areas which are usually closed to the public, the Niccoline Chapel, Bramante Staircase and Cabinet of the Masks! After seeing the special areas your tour will proceed to the normal itinerary, heading till the stunning Sistine Chapel by Michelangelo. 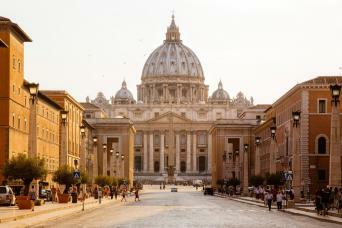 Thanks to a special passageway you will also enter St. Peter’s Basilica without having to queue up again in the Square. 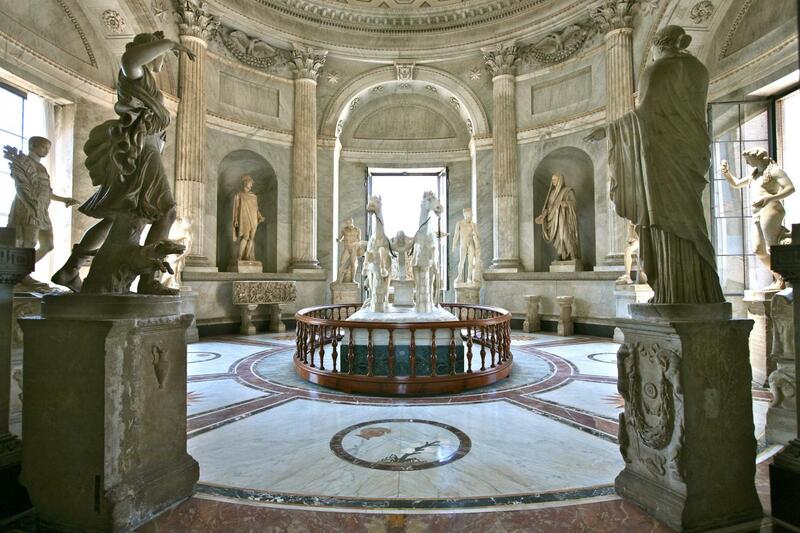 Ready to have this VIP Vatican experience? Book our Private Tour of the Vatican with Restricted Areas! Our Private Tour of the Vatican with Restricted Areas is the best option for you, if you want to visit the Vatican without missing any of its treasures. You will get 4 hours and a half with the best guides, to visit the Sistine Chapel, all the Museums including the restricted areas, and St. Peter’s Basilica. Everybody goes inside the Sistine Chapel, the Basilica and the Vatican Museums… but very few people know the Vatican Museums host some restricted areas, usually closed to the general public, containing amazing examples of art and architecture: with our tour you will see Bramante Staircase, Niccoline Chapel and Cabinet of the Masks, a once in a lifetime experience you will never forget! 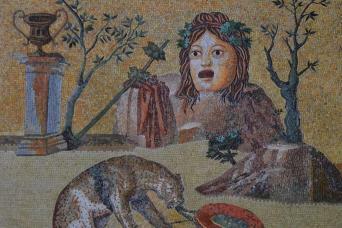 The so called Cabinet of the Masks was named after the precious mosaics of its floor, which were brought here from Tivoli’s Hadrian’s Villa, 40 minutes from Rome. Your guide will show you and explain the several statues hosted in the Cabinet, most representing female subjects: a reproduction of the Three Graces, a nympha and a series of statues of Aphrodite, the Goddess of Love. The Niccoline Chapel took its name from Pope Nicholas V, who decided to have it built and use it for its private prayers. Your guide will point out at the beautiful frescoes by Fra Angelico and his assistants, depicting various religious subjects, like two of the earliest Christian martyrs; Episodes from the Life of St. Stephen and scenes from the life of St. Laurence. raise your gaze and admire the stunning vault painted blue, decorated with stars, and figures of the Four Evangelists in the corners. By 11 am you will access to the stunning Bramante Staircase: the DNA would only be discovered centuries later, but the genius architect from Tuscany designed a double-helix shaped staircase, which received unanimous applause by Bramante’s contemporaries. Apart from being beautiful, the staircase also had some practical purposes: not only was it a privileged way to access street level from the Papal apartments, but it also served as a path to let horses and mules carry big items back and forth from the Papal Palaces. After seeing the special areas your tour will procede with the normal itinerary, i.e. with Michelangelo’s masterpiece Sistine Chapel. Thanks to a special passageway you will also be able to enter St Peter’s Basilica without having to go out from the Museums and queue up again in the Square: let your guide share with you all the secrets of the most important Church in the world, pointing out the art and architecture that enrich the massive Church. 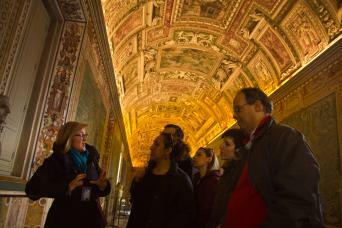 Choose to see the Vatican at its best with our Extended Tour of the Vatican! Four hours and a half with a private guides, who will share with you her knowledge about the Sistine Chapel, Vatican Museums, St. Peter’s Basilica and the restricted areas: Cabinet of the Masks, Niccoline Chapel and Bramante Staircase. 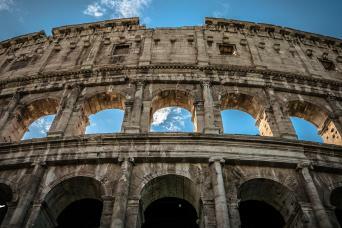 This is the Tour of a lifetime, perfect for those who are in Rome for the first time, as well as for those who’ve been in the Eternal City before! 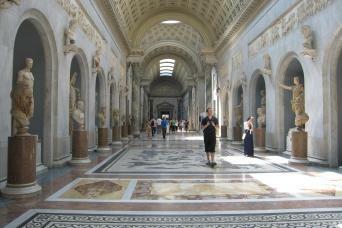 Just contact us and book our Private Tour of the Vatican with Restricted Areas!